Decorate your couch, desk, or bedroom with a member of the motley group of rebels featured on the animated TV series Star Wars Rebels! 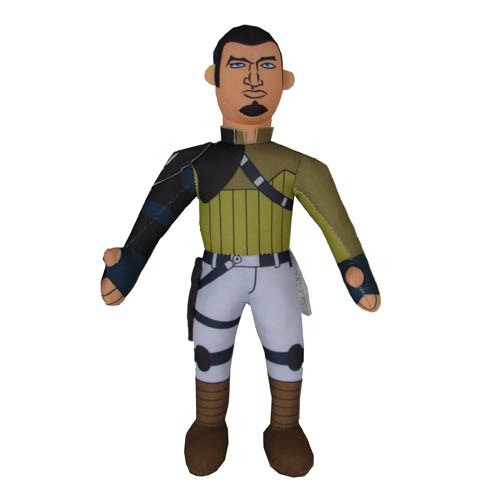 This Star Wars Rebels Kanan Jarrus 10-Inch Plush features the sarcastic renegade Jedi who survived the Great Jedi Purge and is distraught over the destruction of his culture and former way of life. Add to your Star Wars collection with this must-have collectible Kanan Jarrus plush! Ages 4 and up.